This striking verse is found in the Magandiya Suta in the Sutta Nipata, which is generally held to be one of the oldest texts in the Pali canon. The translator notes that “I am” is not in the quotation, but that its inclusion is warranted by material nearby. 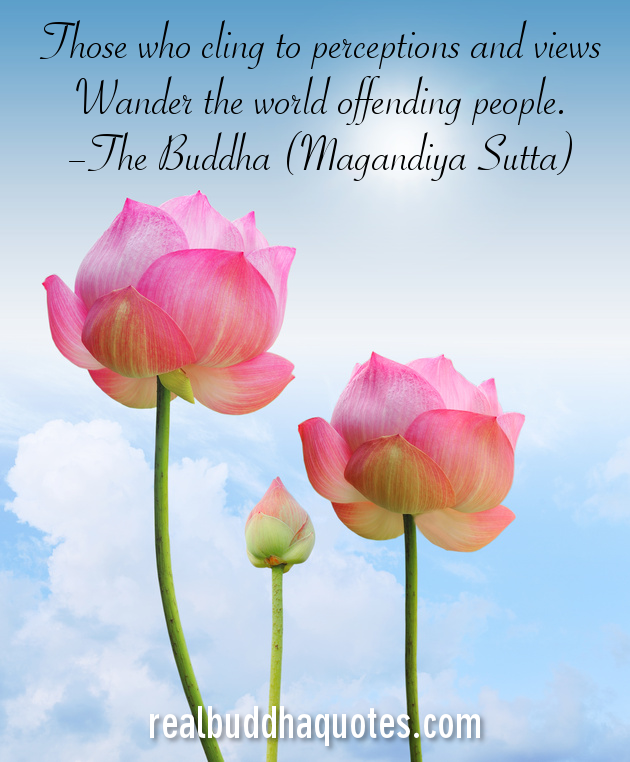 Wander (vicarati) the world offending (ghaṭṭeti) people.